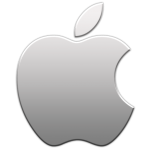 The company Apple Inc is a Multinational corporation in America that mainly deals with the computers. The company develops as well as designs at the same time consumer electronics and even sells them; it deals with personal computers as well as software for computers. The word computer was afterwards removed from its name as to show its focus towards the iPhone as well as ipads. This company is considered third largest in world for making mobile phones that is after the Samsung and Nokia. The company even has an online store, which serves the customers with all latest products of the company. There are currently 5 consumer reviews about Apple available. Share your review. I have an IPad mini, I downloaded the update for ios7, if I could shove the IPad and 7 up apples collective asses BOY would I be happy!! 820 Colgate Avenue Bronx New York 10473 July 17, 2013 To Whom It May Concern, My name is Evelisse Escobar, The purpose of this letter is to request some assistance from you. It starts off with me, I attended school, went to college and got my masters degree and sadly I have been looking for a job for over seven years, and I cant find one that will support my family the way I want to support them. I went and finished my schooling while my parents died, I still pursued my dream of finishing school. There are many times I ask myself why? I can’t find a decent paying job to support my family, I often ask myself what happened to my “American Dream” teachers have taught me and my parents that with a good education you will have a good life, well for me I have been struggling, I am married and thank God for him, he supports me when I cant afford to pay my bills, but he should not have to, I went to school to be a proud independent Hispanic woman, and make my family proud of me, but for me I have felt nothing but frustration, and I live paycheck to paycheck so I am writing to you for help. I have applied for over 50 jobs in the Department of Education, for a non teaching job, and I have not even received an interview, I need a job paying at least $60,000.00 and over for my family. I feel like I have paid the price, I have lost my parents, I have went sleepless nights writing papers, I owe over $70,000.00 in school loans, but I am not giving up on finding my dream job, I know it’s out there, I will never give up but something told made me write to you for help. I would also like to ask for any scholarships for a Hispanic woman that would like to do a leadership degree for an Assistant Principal for a school? I would love to attend school full time on a scholarship that I could support my family with and I can attend school, or please help me find a job. Sincerely Yours, Ms. Evelisse Escobar 820 Colgate Avenue Apt 3-J Bronx New York 10473 Tel 917-892-3597 P.S. I would like to tell you a little bit of my family, my husband is a music teacher, my daughter is an extremely talented teenager that is working hard to buy a laptop computer to make songs, and help me with bills, she is also a fulltime student in college and she works part-time selling Herbalife. My son is only 11 years old, and he is a great kid, takes karate on Saturday’s, and we all attend Church on Sundays. Well there it is my family, that’s why I need a better job or a scholarship to attend school and get a Leadership license, to support my family. I have a considered Computer by all the technical support I was given. Will not work under any conditions of service. Not with standing the kinds of upgrades I have added to the 27in. i-Mac I purchased in 2010 by a Maclife manager in Boise Idaho. This was a prior item that was reduced for sell for out of box return to the store. I have taken the computer to two (2) locations for service, Connection Point in Medford, and Bridge Port Store in Oregon for service. In both cases of work, and technical support I was not satisfied for the results of the operating system. My photography is the basses for the use, and the work related to my Web Sight. Davisrandyphotography.com As time was running on the warranty, my support continued to imply this could be taken care of. My feeling is this is now a computer that will never function as it was intended to. I have enjoyed the computers ability to help me create the most beautiful images, and prints from my photography. Simply put, this computer is a failure to provide what a Apple can, and should. I worked with two (2) phone results of customer service, and lost both as contacts in my case for service results continued to prove a result of failures, after there were no returns to my e-mails to phone messages I left. I started all over again with a new set of, technical support senior advisors. I am now working with what I was being told is CPU history. Sorry my friends but I have to rant and rave about the iPhone store in the big malls today. I went in there to have them help me with a problem. My stylus broke inside the earpiece they tried to tell me they couldn't fix it not only did they not want to fix it. But they could replace it for the cost of the a $199 but they could not help me get the peace out of my phone. They made me feel very bad not only to the fact that they were very arrogant and unkind . But they were calling the Verizon store in the Coddingtown Mall liars for not giving me the right information. The kids at the Verizon store in Coddingtown called Apple store and ask if they could help me they did agree that it happens a lot and that they could fix it, but once I got there they change their story. Needless to say that the last thing I said in that store is that I probably would not be Visiting the Apple store again. The apple people made me feel like I had been excommunicated from an elite club or religion that I was not accepted in. The good news is that I came home drilled the peace out myself and pulled it out with tweezers I guess all came to a good end and I still love my Apple phone and Siri. But I will not go back to the Apple Store. I will have to find a different location to buy my Ipad and it making me a little worried about not having technical support locally. Please take a note that you are about to post a public review about Apple corporate office on CorporateOffice.com. This review will be public, so please do not post any of your personal information on this website. If you would like to contact the corporate offices of Apple, please use their contact information such as their phone number, website, and address listed above to contact them. However, sometimes staff from Apple headquarters do read the reviews on this website.